Hiring continues at Murphy & Grantland law firm in Columbia. Kevin Floyd has joined the firm’s administrative staff as Director of Marketing and Communications. Floyd is media veteran in South Carolina’s capital city, having worked as WIS News Executive Producer in the early 2000s and most recently as the communications manager at the state’s second largest law firm since 2008. Kevin N. Floyd earned his journalism degree from the University of South Carolina in 1997. 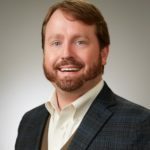 He serves on the board of the South Carolina Chapter of the International Association of Business Communicators and remains involved with Teach for America in the Palmetto State. He taught first grade in Charlotte through that national service corp. program. Murphy & Grantland, P.A. is a defense law firm headquartered in Columbia, S.C. Dedicated to providing high-quality legal services with uncompromising integrity, the firm’s attorneys focus on achieving exceptional results. Clients include insurance providers, self-insured businesses, school districts, churches and nonprofit organizations as well as construction companies.